Welcome Based in Milton Keynes, Airports Direct (MK) are the premier airport transfer and taxi company in the Buckinghamshire area, providing luxury travel to and from airports within the UK.Whether a business trip, or a much needed break, Airports Direct (MK) are dedicated to getting you to and from your airport in comfort and style.Forget the worries of airport parking and the perils of public transport, let us convey you to your destination relaxed and stress free. About Us We are constantly monitoring our customer's needs in order for us to provide all our clients with the most professional and stress free service possible. Therefore eliminating the time consuming and costly task of finding airport parking or public transport.Having extensive knowledge and experience in both Chauffeuring and Taxi driving, we believe we have the ability to meet all our client's needs whether it's a holiday, airport run or corporate travel. We monitor all flights and airlines using our flight tracker system to ensure you arrive to the airport in comfort and in plenty of time.Our way of transportation is one of the smoothest, with the added benefit of a full meet and greet service at arrivals free of charge, making us one of the most cost effective transfer companies in the UK.Why pay expensive parking and fuel costs with the added inconvenience of waiting for transfer buses and having to carry your luggage on and of buses, not to mention the stress of driving and booking parking, then finding the right car park. We offer a full door-to-door service with prices from as little as £70.00 for a return transfer from MK to Luton. 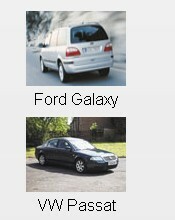 Local Company We are a locally run Company We Started in Stony Stratford with just 1 car back in 2000. Fact And Questions Q How much luggage can I take? so we can supply the right size vehicle. Q Will you come into the airport to greet us? Q Are there any additional charges for multiple pick-ups/drop-offs? Q Do you supply child safety seats? than happy to store it for you for your return journey provided you label them with the return Date / Time / Flight No. / Airport and Name of the person on the booking. Q Can I smoke in your vehicles? Q What happens if I need to cancel my booking? Cancellation will require a minimum of 12 hours notice prior to the arranged pick up time, should this not be the case, then the total price is chargeable to the client. Should a cancellation be made 12 hours before the arranged pick up time, then all pre-payments/deposits will be refunded subject to a 15% administration charge. Q What if my flight gets diverted? This is very rare however should this happen we will remain at the original collection point as per your booking until we hear from you. 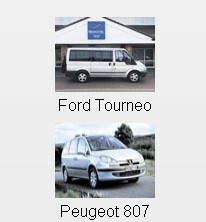 (Please note the airport information on these occassions is very unreliable, more often than not the client will know well before us/the driver where the flight has landed). All waiting and parking charges will need to be paid to the driver as per our terms and conditions of booking, and so it is best to contact either the office or the driver as soon as possible. SMS sent to you the day before each journey confirming your pick uip date / time and drivers name and direct no. for your added peace of mind. 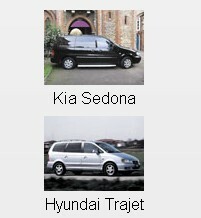 The perfect way to book your next Airport transfer Whether it's business or pleasure.